Today you'll find me guest posting over at Skip to my Lou as part of the fantastic annual Holiday Bake, Craft and Sew Along. 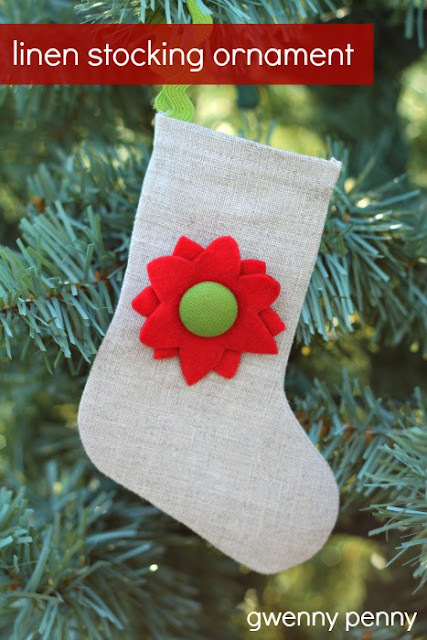 Head on over to Skip to my Lou to check out my cute little linen stocking ornament tutorial. And... I get to treat you to a SEW Amazing giveaway as part of our crafty series. This is one AMAZING giveaway! We are giving away a fabulous Prize Package worth more than $700! Singer ONE Sewing Machine This is Singer's easiest sewing machine! True to SINGER, it is easy to learn on, simple and has basic stitches for crafts. The perfect machine for stitching home made goods or something fun this holiday season! Simplicity SideWinder Quickly and easily fill bobbins without having to un-thread and re-thread your sewing machine. The SideWinder transfers thread from spool to bobbin effortlessly and quickly; works with most bobbins, metal or plastic. An adjustable tension knob accommodates different thicknesses of thread! So cool! Simplicity Bias Tape Maker This Simplicity Bias Tape Maker will create customized single fold bias tape with the push of a button! 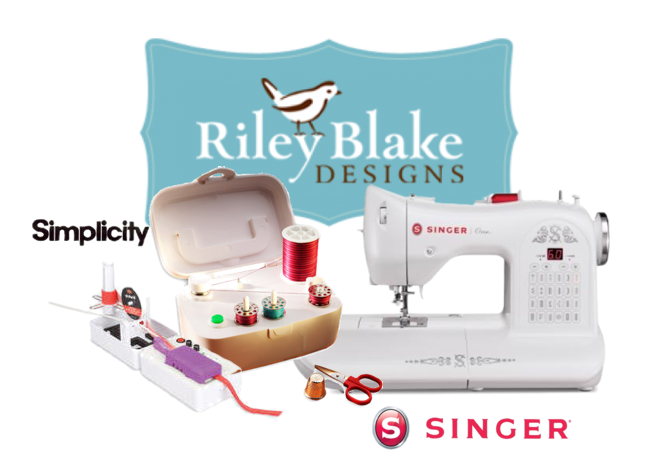 And so you have something beautiful to sew, $100.00 of fabric from Riley Blake! Simply wait for RaffleCopter to load below and enter there! Be sure to check out all of the fabulous sewing projects shared during the Holiday Bake, Craft and Sew Along series going on all month long at Skip to my Lou! Super cute Christmas Stocking Tutorial!! I love your linen stocking ornament! Pinning it and I hope I get to it for this Christmas! Our tree is pretty bare after packing away all breakable ornaments that won't survive our toddler. So cute Gwen! It is right up your alley with the linen and the darling embellishment! I LOVE it! Your stocking ornament is lovely! Love your mini stocking ornament! Mini stockings have been on my mind, I need to make one for the girls' dollhouse! Love your simple sweet stocking ornament, Gwen! What a charming little stocking! And a fabulous giveaway!! Pretty stocking & great tutorial!